We are offering a wide range of Undercut Elephant Sculpture. The Soapstone Elephant Statue, which we are offering are made from the superior quality soapstone with created by skilled craftsmanship. Based on the mesmerizing stability features of soapstone handicraft items. 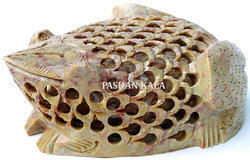 We are one of the leading maufacturer of authentic Soapstone Carving Turtle in the market. Owing to unmatched quality and fine finish, our Turtles have gained wide appreciation from client. These statue are commonly used as decorative item and find usage in domestic and commercial sector. 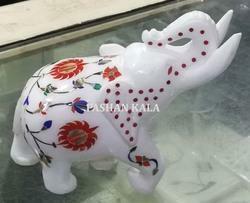 White Marble Elephant with Inlay Work export by us is known for its aesthetic design and structure. 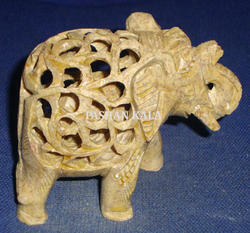 The Elephant Statue is made from finest quality stones. Inclusion of latest designs makes the Elephant attractive for buyers. 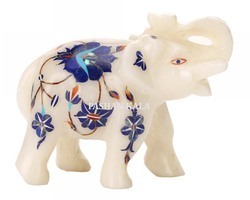 These Marble Elephant are made quality marble material. 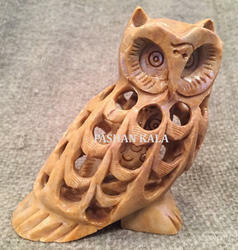 These White Marble Inlay Owl are crafted and carved by very experienced artisan due to which these statue are widely demanded and liked by all. 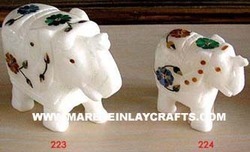 These Cow Sculpture are available in various elegant design and pattern. 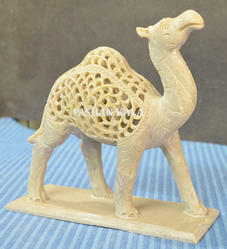 We are providing to our valued customer a optimistic range of Soapstone Camel Statue. 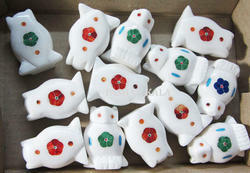 which is made using high-grade soapstone. It is acknowledged for its unique look, design & pattern and find extensive usage in decorative application. Statue are available at most competitive prices. We manufacture and export a comprehensive range of Inlaid White Marble Elephant that are designed for interior decoration. Our product are available in upright delighted stature and these Inlaid White Marble Elephant are widely acknowledged for their traditional design. Available in different specification, these decorative product are available as per the industrial standards. We are offering Marble Elephants Statue to our esteemed client at market leading price. These White Marble Elephant have a great demand in the market owing to the supreme quality and excellent finish of the marbles. Our artist carved these Elephant with great passion and devotion. A Stone Frog Statue is one of the favorite statue in garden decor that can bring a natural smile on anyone's face. In fact, Frogs are one of the most popular animal sculpture that can be found in a garden. What's more, garden Frog Statues are significantly economical in comparison to other garden figurines. We are one of the leading manufacturer of authentic Stone Inlay Elephant Statue in the market. Our Elephant Statue are sculpted from high quality marble and exhibit the aesthetic sense and finesse of our craftsmen. Our Marble Elephant Statues are artistically created using fine quality marble. Designed with perfection, our Inlay Elephant Statue is high on demand in the markets. Our Soapstone Undercut Owl Statue are created by using the age-old and highly popular technique of soapstone carving, this decorative sculpture with natural soapstone finish impart the rugged antique look to the sculptures. These Owl Sculpture are creative pieces of art that enhance the beauty of every home and are indeed expressions of one's aesthetic. We manufacture and export a comprehensive range of White Marble Horse that are designed for interior decoration. 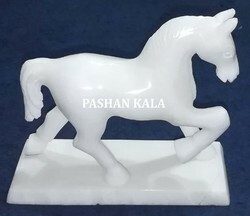 Our product are available in upright delighted stature and these White Marble Horse Is widely acknowledged for their traditional design. Available in different specification, these decorative product are available as per the industrial standards. Looking for Stone and Marble Animal Figure ?